Secular Pro-Life Perspectives: No Abortion Clinics in Mississippi? 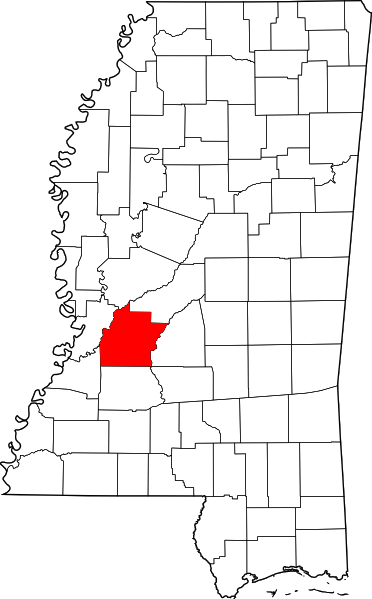 Hinds County: location of the only remaining abortion clinic in Mississippi. According to the San Francisco Chronicle, Mississippi may be the first state to have zero abortion clinics. Beginning July 1, all abortion-clinic physicians must have admitting privileges at a local hospital under a law passed by the Republican-led Legislature and signed by Republican Governor Phil Bryant in April. At the Jackson Women’s Health Organization, the state’s sole remaining clinic providing elective abortions, none of the three physicians who perform the procedure has been granted those privileges. ...the majority went to women who were nonwhite, unmarried, had a high-school degree or less and already had children, according to Health Department statistics. Notice it doesn't say "or already had children." It says and. The majority already have children and have a high school degree or less. Doug Hiser, a 54-year-old retired engineer from the Jackson area, stood outside in 90-plus-degree heat trying to talk to people heading inside. Ironically, he said, were the clinic to close, it may hurt the local anti-abortion movement more than it does the abortion rate. Doug Hiser appears to be less concerned about making abortion inaccessible and more concerned about being able to talk to abortive-minded women about their situations. What do you think? Is it more important to change minds or change laws? Obviously we want to do both, but which strategy takes precedence, and why? We probably need to do both. As we win minds, we should put what the state values into law. In Mississippi, people can travel to Memphis, TN, Birmingham, AL or New Orleans, LA. So changing the laws in one state does not have as big an impact as changing hearts. As more states change laws, then it might actually have an effect, so we do need to work this front too. It's hard to win minds when the pro-life side represents radical christian fundamentalists, abortion clinic bombers, and misogynists. It's no suprise to see the tendrils of Christian Fascism strongest in the deepest of the south. I feel sorry for anyone that has to live in that state. Oh, so that's who the pro-life side represents. Ah so pro-lifers aren't violent right wing authoritarians, that's why there isn't a laundry-list worth of reports of pro-lifers commiting violent acts against abortion providers. oh wait yes there is, nevermind-- please refer to our pro-life propoganda for your weekly indoctrination. I didn't realize Gallup polls were now considered pro-life propaganda. Anonymous says that the pro-life side is largely comprised of "radical christian fundamentalists," to which you reply with a link that admits that "68% of Christians who attend church at least weekly think abortion should be illegal, compared to 38% of Christians who attend monthly or yearly and only 28% of those who rarely attend church" and "only 25% of those religiously unaffiliated." "Anonymous says that the pro-life side is largely comprised of "radical christian fundamentalists" ...as well as "abortion clinic bombers, and misogynists" and "Christian Fascism." I replied with a link that shows the pro-life movement is comprised of roughly half of the United States, spanning gender, age, and race. The pro-life movement is strongly correlated with Christianity; I don't deny it. But that's a far cry from suggesting half of America represents abortion clinic bombers. Usually your posts seem quite thoughtful, LifeChoices. You kind of cherry-picked on that one, didn't you? The hyperbole is that pro-lifers are abortion clinic bombers, the reality is that they undermine and social isolate people who don't agree with them, try to get political enemies fired, try to shame and duress anyone who stands in thier way. Whoever this straw man troll you're using to schill for your propoganda, it's not working. I have never bombed a clinic. Don't know anyone who has. How many times has that actually happened? how many people were involved and how does that compare percentage wise to the rest of the pro-life following? Or do facts not matter, just hate speech? We need to do both but if we change hearts and minds the laws will follow.